Thank you to all who attended and made the inaugural Alexandria Summer Fair such a success. Thank you especially to our sponsors and supporters, most especially to the City of Sydney, without your help this would not have happened. To everyone who asked “Will we do this again next year?”, the answer is that we’re thinking about it. We might. In the meantime, we’re sorting our photos and we’ll share a few of the best here, or somewhere. You may have spoken to Andrew Collis from the South Sydney Herald, or been photographed by him. If so, keep an eye out for the next edition of the paper, see if you get a mention. And we’re in the process of contacting those prize winners who weren’t able to collect their prizes at the show. And we also have one or two items of lost property. No promises, but if you’ve lost anything, or if you have anything else you want to know or to share with us, please email AlexandriaFair@arag.org.au. Otherwise, we hope to see you at the next regular ARAG meeting on the 13th of March, at Alexandria Town Hall, at the usual time of 7pm. More details to follow. The weather bureau having pronounced that the weather for tomorrow will be better than today, Alexandria Summer Fair is going ahead. some adjustments to the schedule, but we’re going ahead. 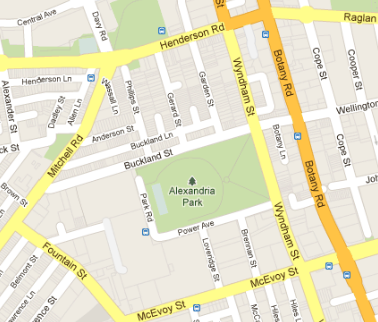 Alexandria Park – Corner of Buckland and Wyndham Sts.